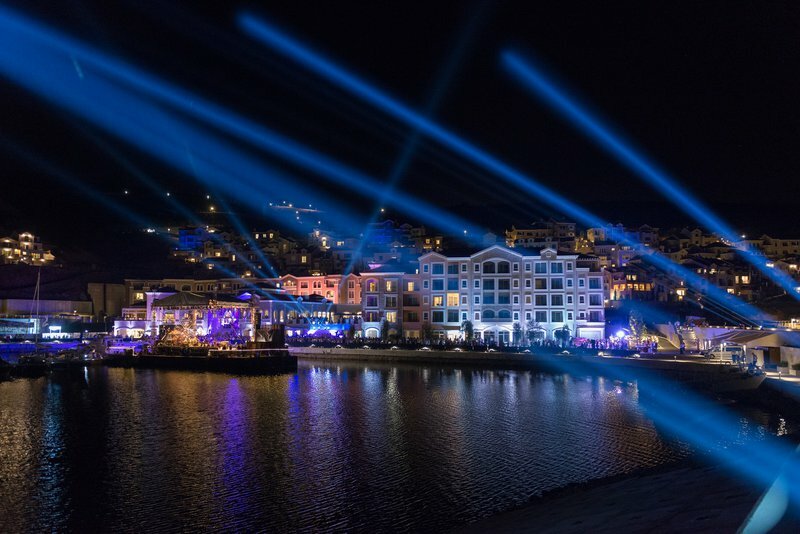 The luxurious five-star The Chedi Hotel and the first of two marinas in the seaside resort Luštica Bay in Montenegro, were officially inaugurated during a Grand Opening Ceremony this Friday, 17 August. As the main contractor for the construction of the residential part of Luštica Bay, BESIX has already delivered several phases of this magnificent project on time and has continued fostering good relationships with the client and all project partners. This event was the perfect opportunity to reiterate BESIX’ dedication towards providing support to Montenegro’s further development. On the Tivat side of the peninsula Luštica, Luštica Development AD, a joint venture between Orascom Development Ltd (90%) and the Government of Montenegro (10%), has been developing and building Luštica Bay, a vibrant new resort town perched on a hillside overlooking the idyllic coastline. After completion, it will house a few thousand residents in more than 1000 apartments, over 500 villas and townhouses and 7 hotels. In addition, visitors will be able to moor their boat in one of two marinas or improve their handicap on the 18-hole golf course, all the while enjoying public facilities including a school and a medical centre. BESIX has been involved in building this luxury development since the start of the project in 2013. As the main contractor and the co-owner of The Chedi Hotel (50% owned by BESIX, 50% owned by Lustica Development), the company made sure that the work was done professionally and with impeccable expertise. “BESIX’ added value was that of a highly reputable, internationally active main contractor with experience in emerging markets, with the demonstrable capacity to deliver what was initially agreed upon, and with ambitious architectural and finishing standards in the local context. It was important for us to define quality standards in the beginning of the project that matched the high expectations of our company and our clients. 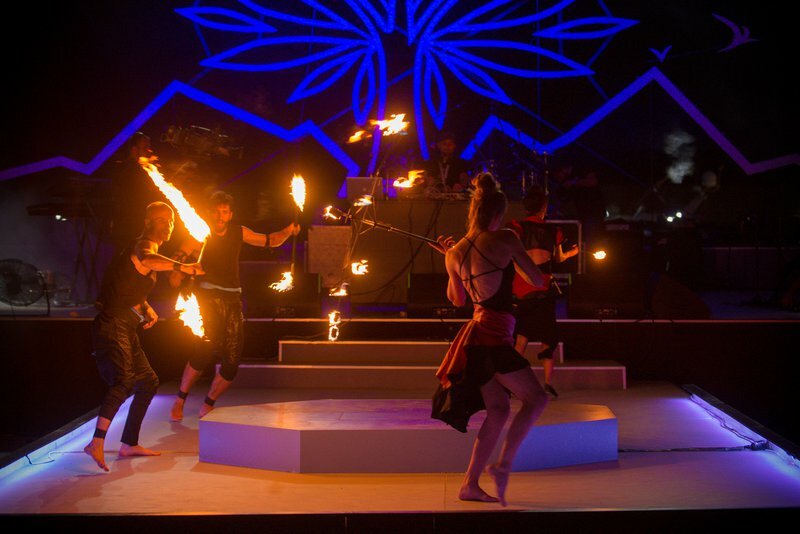 BESIX showed its worth, every step of the way”, says Darren Gibson, CEO Luštica Development AD. 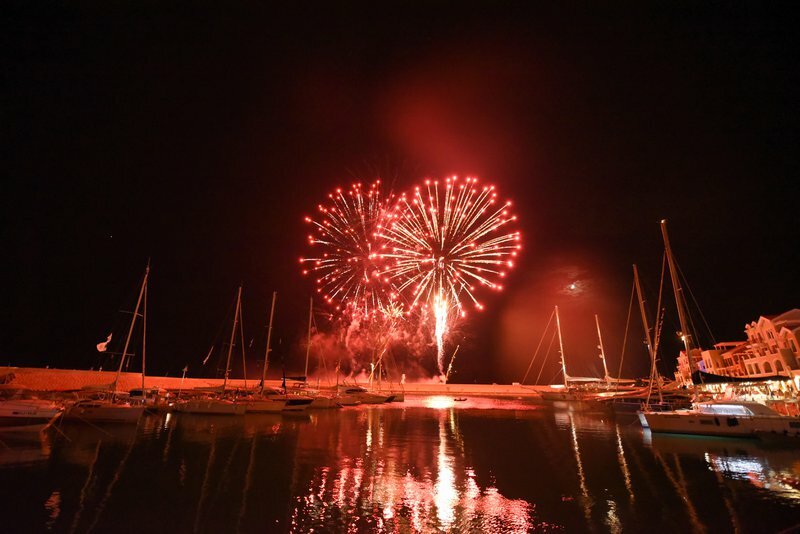 Last Friday, 17 August, Luštica Bay celebrated the official inauguration of its first yacht marina and the luxurious five-star The Chedi Hotel with a Grand Opening. Through the symbolic placement of the last three construction stones, The Chedi Hotel was officially brought to life by the Chairman of the Board of Directors of Orascom Development Holding, Samih Sawiris, Prime Minister of Montenegro Duško Marković, and Johan Beerlandt, Chairman of the Board of Directors of BESIX Group. "Luštica Development AD, together with our key partner BESIX, have done an amazing job at the construction site. The amount of effort put into thorough planning and coordinating resources is the best I have ever seen”, said Marc de Ruijter, General Manager of The Chedi. The Chedi Hotel is a new addition to what is becoming a long list of references in luxury hotel construction for BESIX. Furthermore, the Luštica Bay project is perfectly in line with the vision of BESIX, which is to excel in creating sustainable solutions for a better world. Not only did BESIX use green construction methods such as the use of regional building materials, water conservation and waste management, but the first phase of the project was also awarded the Gold LEED Certification with regards to its thermal insulation. To obtain this, BESIX developed a unique cost-effective façade system which combines the thermal and waterproofing insulation requirements with the cladding of natural stones, all the while expressing the character and cultural heritage of the region in its design. 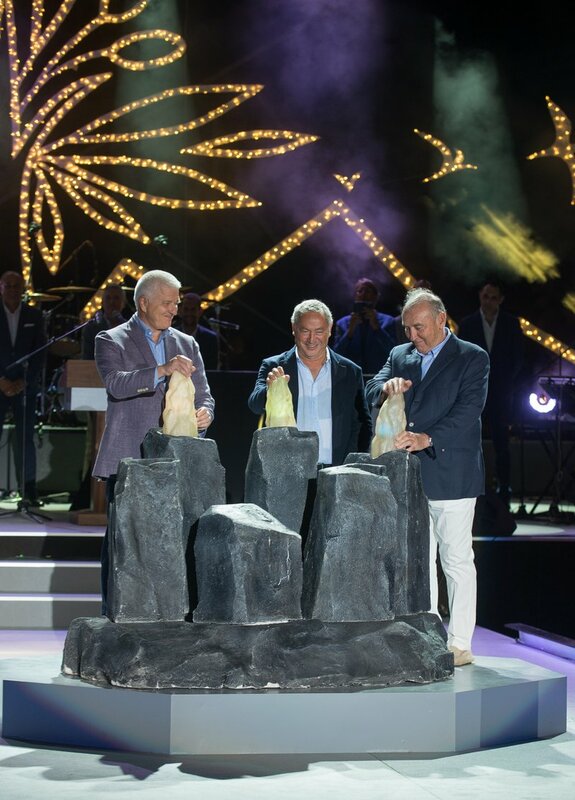 (fltr) Montenegrin Prime Minister Duško Marković, Chairman of the Board at Orascom Development Holding Samih Sawiris and Chairman of the Board of BESIX Group Johan Beerlandt lay the symbolic last three stones to officially open The Chedi Hotel.